It feels like it was just a few days ago that I wrote a year-end update about the whirlwind of a year that was 2017. Everything seems to be moving faster these days… the news cycle, the weather, and of course, Hawaii Life. 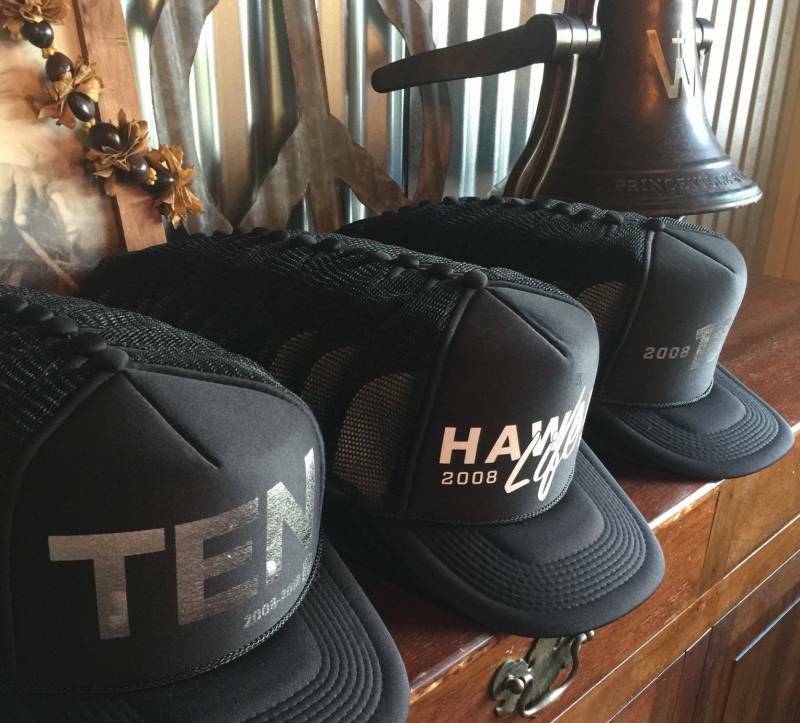 In 2018, we are celebrating 10 years of success in Hawaii. In June, the Hawaii Life team gathered for a private celebration on the island of Kauai. I couldn’t be more grateful for our company culture. The contributions from each one of the skilled and committed agents and brokers across the state. They really are the center of our business, and the focal point of every transaction we’ve done. Our internal support teams: Creative; Customer Experience; Agent Services; Property Management; Accounting; Operations; Brokers-in-Charge… they’re all stacked with talent, and they’ve delivered incredible results this past decade, and especially these past six months. It’s been an incredible ten years and this year alone has been marked with some huge events – some of our own making and some that were thrust upon us. At the beginning of the year, I knew that 2018 would come roaring in loudly… and that’s proven to be true in ways we couldn’t have imagined. Our year began with an exciting announcement. In January, we welcomed The Choi Group with Hawaii Life to our team on Oahu and across Hawaii. The opportunity to work with Patricia Choi and her team has been nothing short of spectacular. The Choi Group brings knowledge, purpose, and timelessness that will help sustain Hawaii Life’s record of unique achievements in Hawaii for years to come. The Choi Group has an unblemished reputation for excellence for the past several decades. Pat Choi has been Oahu’s top selling agent over that same time period and she continues to excel with Hawaii Life. 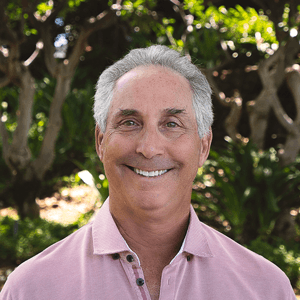 Matt Gabriel, the Broker-in-Charge of the Choi Group, leads the team of 21 brokers and agents in our Kahala offices. The Choi Group continues to represent the finest real estate on Oahu and their access to the services and affiliations available through Hawaii Life furthers exposure of both their property listings and their agents. Hawaii Life has always been a ‘technology-enabled’ brokerage (to use some industry jargon). Our company is paperless and we manage thousands of transactions a year, securely and without hiccups, from the cloud. One of the reasons for this merger was to combine our unique expertise with those of The Choi Group to meet the evolving needs of Hawaii’s real estate market. One of the expected outcomes was that our cloud-based, digital approach would work for everyone. One of the takeaways from working with Pat Choi, her team and her clients is that there’s still an important place in our industry for ‘analog’ tools. More than half of the of the real estate transactions at The Choi Group weren’t just paper transactions this year, they were completed in person, with wet signatures. Many of their clients have high-level security issues that prevent the use of digital tools for transactions, particularly those of the size they broker. Their clients often prefer to sign their contracts in person, in wet ink. We’ve learned that The Choi Group’s discerning use of the analog approach to a digital world is a value proposition, not a weakness, and that value is not lost on their clients. Any business book or consultant will tell you that the most challenging part of any merger is a smooth transition of a company’s culture, which has as much to do with your day-to-day way of handling business transactions, as it does with your beliefs, values, and ways of working internally. It has been beneficial to learn from The Choi Group’s highly skilled team, in order to bring the best of both organizations together for a powerhouse real estate solution for our clients on Oahu. Along with the addition of The Choi Group, we’ve also increased our Oahu footprint by adding a new office location in the heart of Kaimuki, on Waialae Avenue. The Choi Group will now call our former Kahala location home. 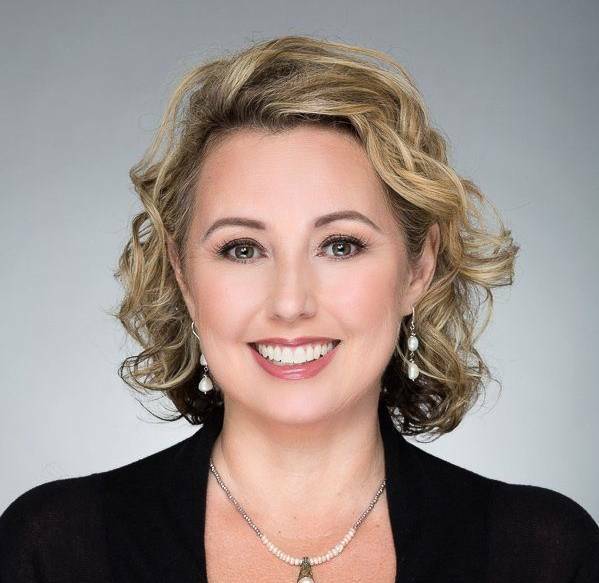 We’ve also boosted our Oahu team and presence on the Windward side, with the acquisition of Kailua-based Home Shoppe Hawaii, led by Yvonne Ahearn R(B). Yvonne is a three-time winner (in 2010, 2011 and 2015) of the Aloha ‘Aina “People’s Choice” Award for the island of Oahu. She was also nominated every year from 2012 through 2018. A lawyer by training, Yvonne and her Windward Oahu team add tremendous value and a unique skill set to Hawaii Life. Hawaii Life has experienced unprecedented growth in the first two quarters of 2018, delivering a total sales volume of $960,574,024 in real estate sales in Hawaii. By contrast, in the first two quarters of 2017, our total sales were $554,127,823. That’s a growth rate of 73%, year-to-date. One significant aspect of that growth is movement in the high-end of the market across the state. For example, we’ve represented 11 clients in sales at or above the $10 million mark year-to-date, more than double the number of sales above that same benchmark through all of 2017. The most significant year-over-year growth has been on the island of Oahu, where sales are up 215% over the same period in 2017. The Choi Group with Hawaii Life has contributed to that growth, along with our Specialized Military Team, and market centers in Kahala, Ewa Beach, and Haleiwa. As the summer months continue, we expect Oahu to lead the way in sales. Both Maui and Hawaii Island have seen equally impressive results. Hawaii Life on Maui is up 60% year over year through June, and on Hawaii Island, Hawaii Life sales are up 31%, not inclusive of Mauna Kea Realty sales. Since incorporating Mauna Kea Realty into the Hawaii Life family, good things are already happening on Hawaii’s Big Island. When we include Mauna Kea Realty sales into the equation, Hawaii Life now represents the largest sales volume of any real estate company on the Big Island. Our home market of Kauai remains our top-selling market, with an incredible $338 million in sales in the first two quarters. 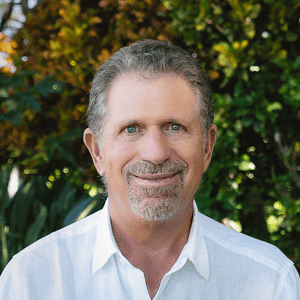 No other company on Kauai has ever accomplished anything close to that volume of sales in two consecutive quarters, in the history of Kauai’s real estate market. Year over year, Hawaii Life sales on Kauai are up 206%. Crystal clear waters off the Kohala Coast of Hawaii Island, where Mauna Kea Realty – A Hawaii Life Company is located. For a sales organization, increased volume can be intoxicating – especially when it’s a whopping 73% increase. But there are also reasons for caution and pragmatism. Hawaii Life’s growth is not an indicator of the general market’s health, though that is a contributing factor. Somewhat concerning for the real estate market at large is that the bulk of this growth has been represented by very high-end sales. Stock market volatility, rising interest rates, and tax reform may have likely contributed to the high-end market activity, but those same factors are also squeezing the entry-level and middle of the market. In addition, the eruption on Hawaii Island and the flooding on Kauai continues to impact the real estate market across the state, as well as tourism. The island of Hawaii realized growth in visitor spending (+3.3%) despite a drop in visitor arrivals (-1.6%) in May year-over-year. While this seems positive, the islands of Kauai, Maui, and Oahu all saw double-digit growth in visitor spending in May. Year-to-date, the state of Hawaii has experienced a 10.4% increase in visitor spending and an 8.4% increase in visitor arrivals. The eruption alone has been responsible for more than 600 homes being destroyed or stranded. In a market that was already strained for inventory, any loss of housing poses a significant challenge. Hawaii has been host to not one but two events with extreme consequences this year – the very definition of a black swan. On April 13th, the island of Kauai was hit with an unprecedented (and apparently unpredictable) amount of rain. The entire island experienced flash flooding and a dramatic thunder and lightning storm, and the North Shore received as much as 52” of rain in just 24 hours. The Hanalei River mouth more than doubled in size and washed out portions of Weke Road, the public bathrooms at Black Beach, and three beachfront houses fronting Hanalei Bay. There were upwards of 13 landslides on Kuhio Hwy between Hanalei and the end of the road at Ke’e Beach. Many residents, visitors, and guests were stranded for days. With support from organizations across Hawaii and the continental U.S., including the National Guard and the Coast Guard, our community sprung into action. Locally, organizations like Malama Kauai and the Kauai Red Cross provided much-needed on-the-ground support, along with a community full of volunteers, boat captains – and most surprising of all, bison herders – residents who jumped in to help round up stray buffalo that had escaped from the buffalo ranch in Hanalei Valley. Then, on May 3rd, the Kilauea Volcano on Hawaii erupted dramatically from new fissures, sending lava over streets, neighborhoods and homes. To date, more than 600 homes have been destroyed or they remain stranded due to continued volcanic activity. The scope and scale and of this eruption remain overwhelming. The Hawaii Life Charitable Fund is directed entirely by a group of Hawaii Life brokers, agents and employees across the state. With the decisive action of the board members and the Board’s Chair, Mealoha Kraus, we were able to collectively raise over $130,000 to support the flood recovery efforts on Kauai. The first $50,000 was distributed equally to Malama Kauai and the Kauai Red Cross, and the remaining funds were distributed via the Kauai Relief Fund, seeded by the Omidyar Foundation and administered by the Hawaii Community Foundation. We’re continuing to raise funds for those impacted by the eruption on Hawaii Island. The Hawaii Life Charitable Fund is currently matching the next $20,000 in donations. We’ll continue to direct funds towards this effort through the Hawaii Island Volcano Recovery Fund, established by our partners at the Hawaii Community Foundation. Beautiful rolling grasslands near Waimea, Hawaii. About 97% of the Big Island has not been affected by recent volcanic activity. Land is a zero-sum game in Hawaii. Even though the eruption of Kilauea on Hawaii Island may have technically added some land in the form of a fresh lava flow to the island, it has contributed more destruction than any recent natural disaster in Hawaii. 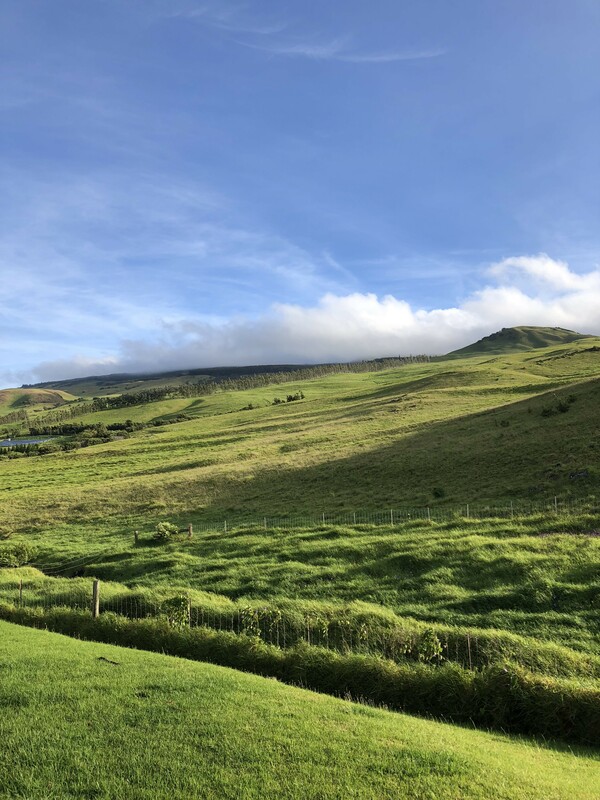 At Hawaii Life, we’ve been exploring our interest and involvement in land conservation in Hawaii for the better part of a decade. For some, this may occur as counterintuitive for a real estate company to stand for land conservation, instead of development. But ironically, these two things are not mutually exclusive. In fact, we see them as two sides of the same coin. Development without conservation is doomed to fail, as is conservation without development. The Hawaiian word for land is ‘aina. Its literal translation is “that which feeds us.” Note that people are a vital part of that definition. We have a role in Hawaii to care for this place, whether we’ve been here for generations or only for a few days. With that in mind, we created a new position earlier this year at Hawaii Life. We named Beth Robinson, R(B), as our Director of Conservation and Legacy Lands. Based on Hawaii Island, Beth is tasked with educating our brokers and agents about conservation opportunities and strategies in Hawaii. 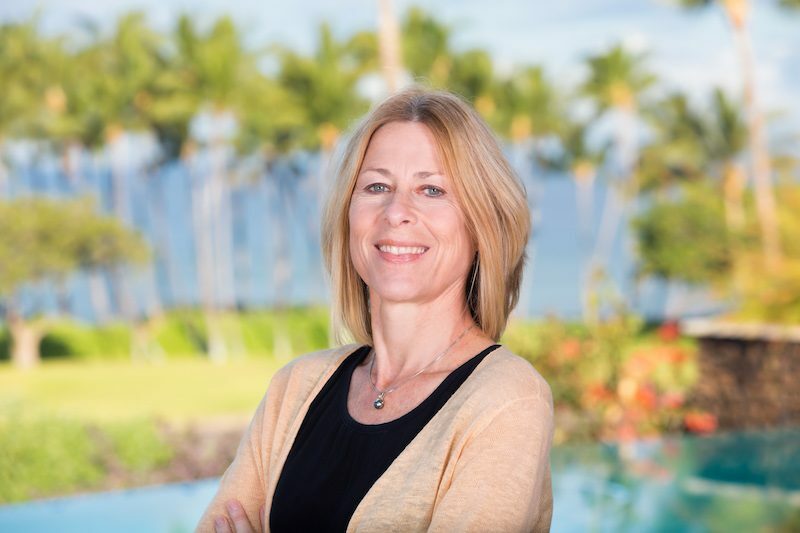 In addition, she works with land conservation organizations around the state to build a comprehensive portfolio of lands in Hawaii that could be purchased with conservation in mind. We’ve since been approached by a wide variety of prospective clients who might fit the bill as informed and philanthropic prospects, with significant interest in conservation purchases in Hawaii. Understandably, many of the sellers we represent also have their own interests in conservation easements and other vehicles to extinguish development rights and protect a wide variety of resources from potential development. 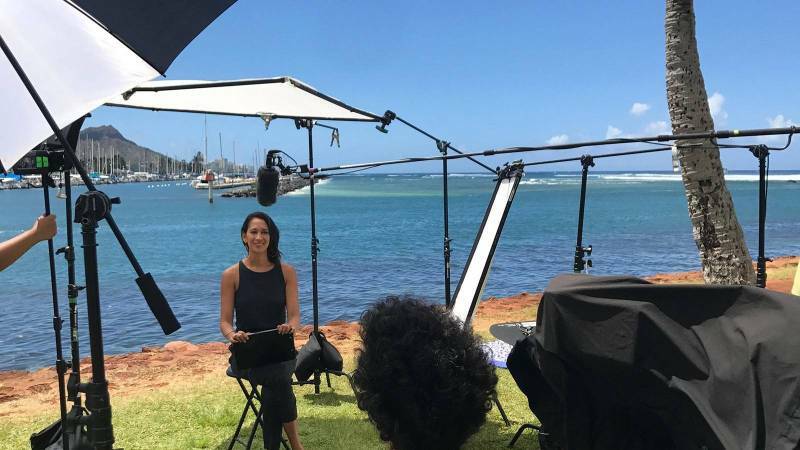 We’re about halfway through shooting episodes for two brand new seasons of “Hawaii Life” on HGTV. That’s 26 more episodes for our audience to enjoy. As always, it’s been an absolute blast to shoot the show, and it gets better every season. Kahea Zietz, Broker-in-Charge of Hawaii Life Vacations, co-hosts the show this season. Several Hawaii Life agents will be coming back from previous seasons and some of our agents will make first-time appearances on the show. My panel was about best practices in brokerages and the way in which different markets might require different approaches. We had a robust conversation about Zillow, customer service, and the hyper-aggressive recruitment tactics of many brokerage firms. It’s only our third year of affiliation with Christie’s, so you can imagine my surprise at the end of the conference when Hawaii Life was awarded the Christie’s “Affiliate of the Year” in the large brokerage category. Criteria used in determining the four category winners include business innovation, market leadership, passion to succeed in the local and global marketplace under the Christie’s International Real Estate brand, and collaboration with network colleagues and Christie’s art auction house specialists. 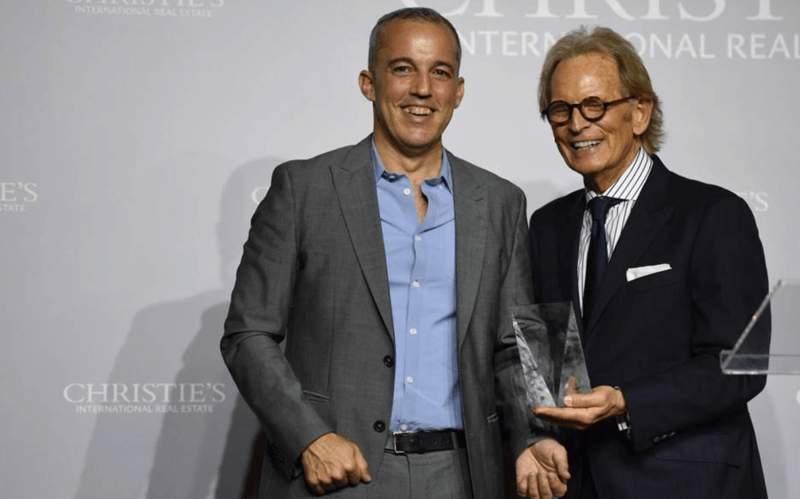 It truly is an honor, especially given the caliber of the 138 affiliated brokerages within the Christie’s organization, spanning 46 countries. We may be the only affiliate to exclusively represent an entire state. The access and insights that Christie’s provides to our clients are deeply focused and highly valuable and we are grateful for this honor. In April, Hawaii Life announced the acquisition of Mauna Kea Realty on Hawaii Island. 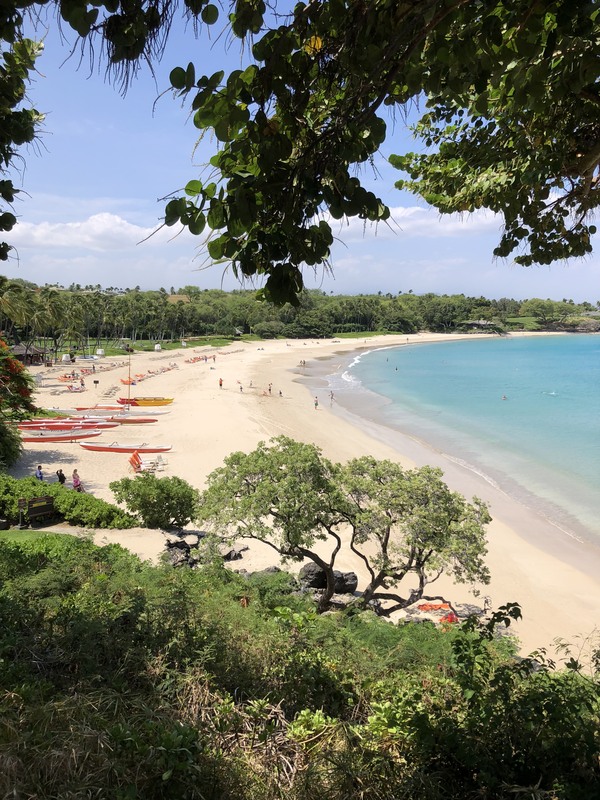 Located within the lobby of the iconic Mauna Kea Beach Hotel, Mauna Kea Realty has been owned and operated by two legends in Big Island real estate – Bob Chancer and Steve Hurwitz. Leading their exceptional team, Bob and Steve continue in their full capacities as Principal Broker and Broker-in-Charge, respectively. 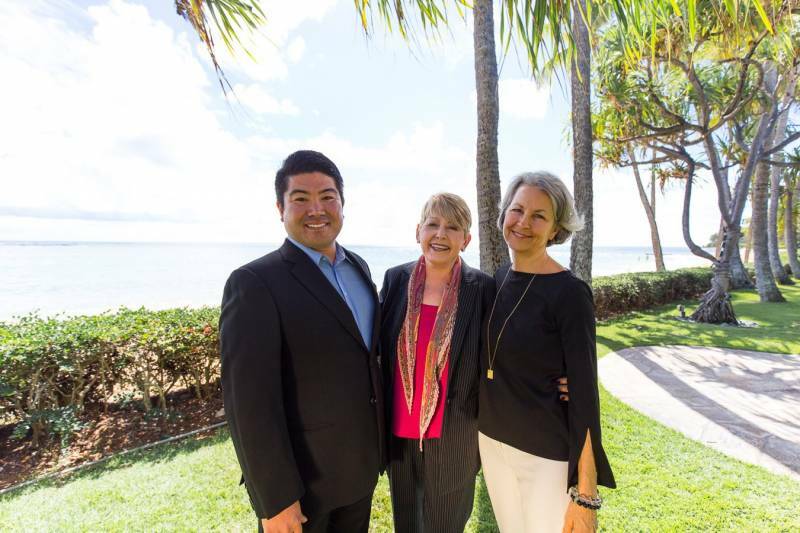 The team they’ve built over the years at Mauna Kea Realty is truly the best of the best – leaders in one of Hawaii’s premier high-end markets. 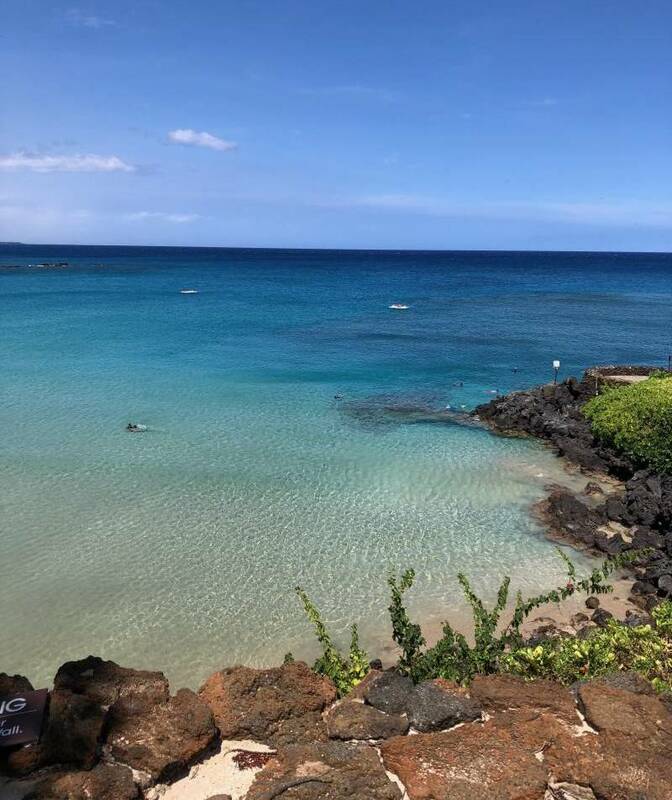 A short tour of their listing inventory would leave any rational person mesmerized by the incredible real estate available on Hawaii Island, and especially along the Kohala Coast. 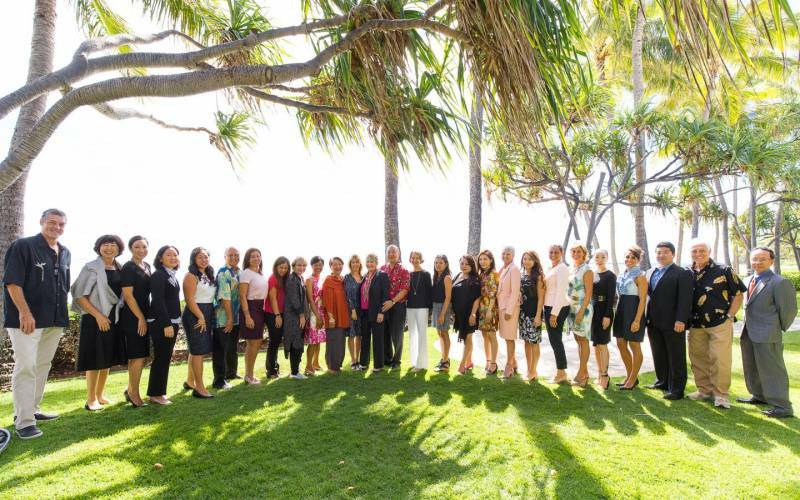 For the past seven years, we’ve hosted an annual conference in spectacular places across Hawaii called the Worthshop Series. The Worthshop Series attracts our industry’s brightest and most influential minds. Independent thinkers, business leaders, creative marketers, and decision makers gather for an immersive experience at an incredible location. In mid-December this year, Worthshop 8 returns to its birthplace on Hawaii Island. The Worthshop 8 will be held at the iconic Mauna Kea Beach Hotel, with the main event happening on the 14th and 15th. Join us at Worthshop as we celebrate our eighth year in 2018 with a powerful theme — Cultiv8.Worthshop 8 is a chance to dig deep and explore your unique appeal. You’ll learn to cultivate your distinctive assets to build your personal brand, attract more clients and build new partnerships. Cultiv8 is where you’ll learn to capitalize on your foundation and unique advantages in order to grow your skill set, your practice, your network, your business and your worth. I could not be more proud of you and our Hawaii Life Ohana, thank you for representing so well!! Great article and I couldn’t be more grateful and proud to be with such a wholesome and amazing Brokerage with so many incredibly talented and good hearted Agents. Atta Boy Matt !! We all need to be appreciated and you certainly have my admiration and sincere appreciation. You are able to transcend all styles of real estate agents and styles, but the two things you hold the line are authenticity and integrity. Hawaii Life has the best agents in the state because of this. Coming from a culture of trophies and production awards , it is so refreshing to just be an equal in the culture of Hawaii Life. We all know we would not be at Hawaii Life if we did not measure up. Keep hiring the best people and there is no limit to what you can do. Wow Matt, what a wonderful accomplishment. Makes me very proud to be part of such an organization. Congratulations to you and Winston.